Some Mathematical Problems of the Theory of Elasticity. Some Functional Spaces and Their Properties. Auxiliary Propositions. Korn's Inequalities. Boundary Value Problems of Linear Elasticity. Perforated Domains with a Periodic Structure. Extension Theorems. Estimates for Solutions of Boundary Value Problems of Elasticity in Perforated Domains. Periodic Solutions of Boundary Value Problems for the System of Elasticity. Saint-Venant's Principle for Periodic Solutions of the Elasticity System. Estimates and Existence Theorems for Solutions of the Elasticity System in Unbounded Domains. Strong G-Convergence of Elasticity Operators. Homogenization of the System of Linear Elasticity. Composites and Perforated Materials. The Mixed Problem in a Perforated Domain with the Dirichlet Boundary Conditions on the Outer Part of the Boundary and the Neumann Conditions on the Surface of the Cavities. The Boundary Value Problem with Neumann Conditions in a Perforated Domain. Asymptotic Expansions for Solutions of Boundary Value Problems of Elasticity in a Perforated Layer. Asymptotic Expansions for Solutions of the Dirichlet Problem for the Elasticity System in a Perforated Domain. Asymptotic Expansions for Solutions of the Dirichlet Problem for the Biharmonic Equation. Some Generalizations for the Case of Perforated Domains with a Non-Periodic Structure. Homogenization of the System of Elasticity with Almost-Periodic Coefficients. Homogenization of Stratified Structures. Estimates for the Rate of G-Convergence of Higher-Order Elliptic Operators. Spectral Problems. Some Theorems from Functional Analysis. Spectral Problems for Abstract Operators. Homogenization of Eigenvalues and Eigenfunctions of Boundary Value Problems for Strongly Non-Homogeneous Elastic Bodies. On the Behaviour of Eigenvalues and Eigenfunctions of the Dirichlet Problem for Second Order Elliptic Equations in Perforated Domains. Third Boundary Value Problem for Second Order Elliptic Equations in Domains with Rapidly Oscillating Boundary. Free Vibrations of Bodies with Concentrated Masses. On the Behaviour of Eigenvalues of the Dirchlet Problem in Domains with Cavities Whose Concentration is Small. Homogenization of Eigenvalues of Ordinary Differential Operators. Asymptotic Expansion of Eigenvalues and Eigenfunctions of the Sturm-Liouville Problem for Equations with Rapidly Oscillating Coefficients. On the Behaviour of the Eigenvalues and Eigenfunctions of a G-Convergent Sequence of Non-Self-Adjoint Operators. References. This monograph is based on research undertaken by the authors during the last ten years. The main part of the work deals with homogenization problems in elasticity as well as some mathematical problems related to composite and perforated elastic materials. This study of processes in strongly non-homogeneous media brings forth a large number of purely mathematical problems which are very important for applications. Although the methods suggested deal with stationary problems, some of them can be extended to non-stationary equations. 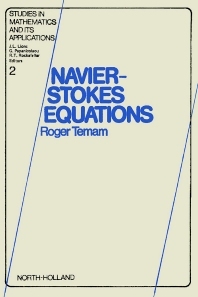 With the exception of some well-known facts from functional analysis and the theory of partial differential equations, all results in this book are given detailed mathematical proof. It is expected that the results and methods presented in this book will promote further investigation of mathematical models for processes in composite and perforated media, heat-transfer, energy transfer by radiation, processes of diffusion and filtration in porous media, and that they will stimulate research in other problems of mathematical physics and the theory of partial differential equations.